Nokia has posted some devastating financials in the first quarter of 2012 - operating losses widened to the catastrophic $1.8 billion in the first trimester, but what’s interesting is that the company also revealed its sales in the US. The exact number? Nokia sold only 600,000 handsets in Q1 2012 and that’s not just the US, but the whole North American market, including Canada as well. Not only that - it’s not even 600,000 Nokia Windows Phones, but rather 600,000 phones in total including Nokia feature phones and Symbian devices which are still sold at some rare US retailers. That’s definitely not the high flying start Nokia and Microsoft had hoped for, but at the same time Nokia seems content with its US momentum. “We exceeded expectations in markets including the United States, but establishing momentum in certain markets including the UK has been more challenging,” Nokia’s chief executive Stephen Elop said. Our guess about this mysterious momentum is as good as yours. “We have a clear sense of urgency to move our strategy forward even faster,” Elop also underscored the importance of the situation. 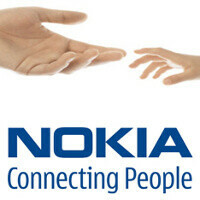 Overall, Nokia device sales in the US fell 34% year-on-year in the first three months of 2012. What is the story about dog food? Heavily promoted, manufacturer outreach to distributors (to include a bounty paid for each can sold), but the dogs hate the dog food.... The only thing helping MS/Nokia is RIM's implosion. As much as I hate to say it, and as much as I have lately been more hopeful for Nokia, I have to admit you appear to be correct. I can't put enough perfume on this to make the stench of impending corporate death go away anymore. Been putting the lipstick on it, only to figure out it really has been a pig all along, ever since Feb 2011. Of course they did horrible for Q1 here in the states. The only Windows phone they had was the 710 on T-Mobile. Neither are very popular. They just launched the Lumia here so Q2 is what will be important. but still 600,000 is very very low no matter how someone tries to twist...have always been a fan of nokia so want them to do well even though i dont have there phones anymore. taz89, i see your point, however the fact that there were no NEW major wp8 hardware releases in na during Q1 is the missing information to which i was referring. t-mobile (the smallest carrier in na) was the only carrier release NEW vs. REFRESHED hardware. i believe Q2 will tell a different story (as long as the stats are not skewed). Always great to get business insights from tween/teen fanboys. Think of how thin the profit margin it would be if Elop choose Android over Windows Phone.. And people buying Android don't always go back to the same manufacturer. Look at how hard HTC fell, Nokia will be doomed if they did that. Elop is smart, the market nerds more competition. Putting all egg into one WP basket is Elop a smart businessman? LG, HTC and Sammy have produced WP too. Why are they not competing with Nokia in WP phone and go all out to support Android? I’m sure they have done their home work. They produce Windows phone as part of an agreement. They barely promote WP7 devices and the Nokia push will only help them sell more WP7 devices. The Android scene is crowded and Nokia made the best choice. HTC, Samsung, LG, Motorola, and anyone else that wants it all have an Android phone. Nokia has crowed about being the first true WP7 phone and they have a small point. They are the first ones to be proud of the platform. The beginning of the end for Nokia as we know it. You are the biased fanboy! Yea look whose talking... Eyepomme! Go and enjoy UR ios restrictions! I will never hope for the death of Nokia... but they inevitably will die, regardless. Such a shame. most my phones apart from the last 2 have all been nokia symbian phones...im not saying they should ditch wp but maybe make android aswel...as a previous symbian user i would jump into android rather than wp as android and symbian are similar to one another and are just as customisable so the transition is easy where as for symbian fans to move to wp the transition is much harder as they work or look nothing alike...not saying all symbian users are like that but my guess is that maybe majority of symbian users have allready jumped to android or ios and if a nokia android device they would use a nokia android device instead of any others...clearly if symbian users were happy with moving to wp then it would have shown in the market share ie while symbian shares go down wp shares go up but thats not the case which tells me that symbian users are not jumping into wp...hopefully wp8 changes things for the better cause if nokia go down or get brought out it would be a sad day in the mobile world...hopefully wp8 is less restrictive and more customisable cause at the moment ios is more customisable than wp7. You have a good point however there was only one Nokia WP7 device really. Neither had a ffc and they both had small screens. (~3.5) The Lumia 900 was the real push and from there they should be judged. Nokia product good phones but they're too complacent with their past success and forget the magical word “Paradigm shift”.